For the majority of traditional pharmaceutical companies operating in China, 2017 was a tough year. A round of new policies repeatedly challenged and changed the industry status quo. For innovative life sciences organizations, however, it was a different story—a year full of hope and opportunity. Thanks to the steady increase in healthcare need, the introduction of policies favorable to innovation, and capital injections, the Chinese pharma industry could be entering a golden age of innovation and development. In this ever-changing market, where will the industry go now? From May to October 2017, the China Food and Drug Administration (CFDA) issued a series of supportive policies—five in all—to encourage innovation in medicines and medical devices. In the past, long drug approval timelines in China were always prominent on the minds of industry experts. This series of initiatives is aimed at carrying out a comprehensive reform of six major aspects: clinical trial management of medicines and medical devices, examination and approval of the listing, drug innovation and development of generic drugs, life cycle management, technical support, and leadership. These are expected to greatly accelerate the drug approval process in China. Intellectual property is another important area. China has long been criticized by the international community for its lack of IP rights and protection; as a result, the development of China’s innovative pharmaceutical industry was heavily restricted. However, things are changing. China made clear improvements regarding this issue in 2017, establishing three anchor points linking drug and patent, patent-period compensation, and data protection. 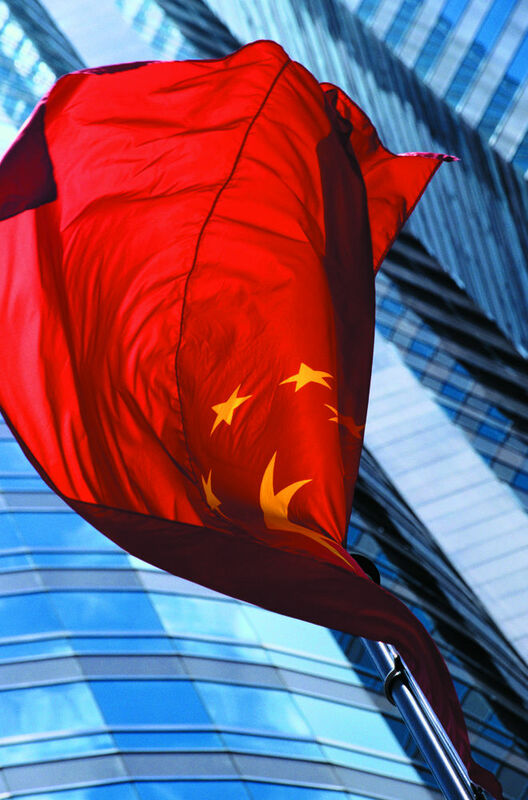 Through this round of moves, China is slated to build a scientific and systematic protection mechanism to effectively protect the patentee’s legitimate rights and interests, effectively driving the wave of innovation. Thanks to the new innovative drug-support policies, the pharma investment market in China has become more favorable. At Healthcare Capital Summit 2017, Werner Cautreels, CEO of Selecta Biosciences, said: “China is no longer an emerging market. Instead, to any pharmaceutical companies which are committed to taking the leadership position in the fierce global competition, China is an important strategic priority.” After 10 years of domestic development, China’s pharma market reached $571 billion in 2016 and is expected to grow to $1 trillion by 2020. An increasing number of local and international investment firms have begun to enter this field, setting up China-focused medical and pharma funds. According to the annual report on China’s equity investment, in 2017, there was a total of 9,120 investment cases in China, of which 1,008 were related to the biotech and pharma industry. In terms of investment number in China, biopharma is second only to the internet and IT sector; in terms of investment volume, it is ranked fifth among all industries, with a total of $11 billion. Among biopharma investment firms, C-Bridge Capital, Tasly, Temasek Holdings, Shenzhen, and Capitol Group are the most active. Thanks to the new policies and favorable pharma climate, an increasing number of overseas talent moved back to China, starting new businesses. With the surge of international and domestic capital, a string of new and innovative biopharmas, such as Beigene and Zai Lab, have emerged. As artificial intelligence (AI) has become more accepted and applied in various fields, the pharma industry is playing catch-up; but there are positive things emerging. Currently, AI has been applied in all three phases of medical treatment in China. The application of AI in the pre-clinical treatment phase is very broad. It includes a range of services, such as auxiliary diagnosis, medical imaging, and virtual assistant. At present, pharma is the most mature business sector in terms of medical AI application in China, achieving solid success in the past year. For example, if combined with pathology analysis, the accuracy of medical imaging diagnosis has already reached 99.5%. In the face of long R&D cycles, large investment, and the high failure rate of new drug development, the pharma industry has long been demanding a more efficient approach to clinical research. The emergence of AI has filled this void. It has been increasingly used to discover novel medications or explore new implications of older drugs. It is predicted that the application of AI in this sector will grow even stronger in China, potentially reaching a market value of hundreds of billions in the coming years. AI can also be widely applied after medical treatment, in areas such as health management, wearable devices, risk prediction, and information and data management. A range of biotechs have already joined this field, with the sector likely to become the main force in driving AI’s application in the Chinese healthcare and pharma space. In China, the aging population, the rapid growth of chronic diseases, a serious imbalance between supply and demand, and uneven geographical distribution of medical resources have created a great market need for AI. In contrast, China’s large population base, rich business combinations, and a huge reserve of talents have provided fertile soil for AI to grow and flourish. Moreover, CFDA has published over 80 national policies and medical AI-focused guidelines to support and drive its R&D. As of August 2017, total AI investment in China exceeded $2.6 billion, with 104 companies securing funding in the preceding year. The most active investors include Sequoia Capital, Zhen Fund, North Light Venture Capital, Matrix Partners China, and SB China Capital. 2017 was a major year for medical reform in China. In an attempt to alleviate expensive treatment and the burden for patients and the public healthcare system, the Chinese government introduced a round of policies and measures, including drug control, adjuvant drug monitoring, the two-vote system, drug price negotiation, pay by diseases, and others. The reform has already led to significant improvements. The rising healthcare fee and how to control it has always been a core issue of the current Chinese healthcare and pharma system. In 2017, that battle was further intensified. Potential ways to solve this problem include, first, expanding the sources of medical funds through the introduction of commercial healthcare insurance, and, then, optimizing the payment structure to meet the new medical needs. In China, the introduction of commercial health insurance is still in its early days. It remains difficult today to meet the shortage of medical insurance needs, and this likely will not change much in the near future. Under the current structure, all reforms in health insurance, medical treatment, and medicine are moving in the direction of medical insurance payment structure optimization. Two main approaches can be applied in this setting. First, by reducing the cost of drugs, CFDA aims to effectively cut off the interest chain. Second, through improving the medicine system structure, China is on track to substantially reduce the use of expensive and patent-expired original drugs. Thus, high-quality generics will begin to dominate the market, potentially saving China hundreds of millions in medical insurance funds. A consistency assessment for generic drugs was initiated in 2017. According to CFDA, 17 drugs passed the consistency assessment in the first round. This effort has continued in 2018. A total of 289 products from more than 1,800 manufacturers are slated to complete their assessment this year. Currently, the market price for consistency assessment of a single-species drug ranges from $720,000 to $1.44 million. The high costs have intimidated a slew of small to medium-sized pharma companies. Additionally, the long application process time—one to two years per drug—has further decreased their enthusiasm. Thus, consistency assessment will serve as a complete clean-up of the chaotic generic drug market. Low-quality and inferior products will gradually withdraw, whereas the top performers will further expand their market reach. The two-vote system refers to the procedure where a pharma company opens one invoice to distribution companies and another invoice to medical institutes. The arrival of the two-vote system is impacting the traditional marketing model, but, at the same time, it is also increasing the transparency of the drug distribution industry. The adjustment of marketing models. Currently, two strategies are dominating the Chinese pharma market: low-open and high-open. The former refers to drugmakers selling products to distributors with a low manufacturing price, and then going through layers of subcontracting, eventually reaching the medical institutes. The latter refers to raising the manufacturing price and circulating medicines through exclusive distributors. After the implementation of the two-vote system, all pharma companies are expected to gradually shift to the high-open approach. At the same time, their existing channels will also be compressed, from the original multi-level commercial channel to a single-level channel. The adjustment of the medicine distribution industry. The most obvious and direct impact of the two-vote system is on the drug distribution sector, in reducing the layers of medicine circulation. Non-standard distributors will be eliminated from the market, raising the entire industry concentration as a result. Down the line, companies with upstream resources, and downstream hospital sales will have a leg-up in the competition. On June 1, 2017, CFDA became an official member of the International Council for Harmonization of Technical Requirements for Pharmaceuticals for Human Use (ICH). In the short term, the move means China must raise its standards in all aspects of pharma regulation. This will present obstacles to a large number of local pharma companies. However, in the long run, China should benefit. Joining ICH gives the country the opportunity to catch the high-speed new drug development wave in Europe and the US. It is also good news for overseas pharma companies. In the wake of the optimized review progress and international multicenter clinical trials, the listing process and the time to bring products into the Chinese market will be dramatically reduced, saving more costs in the future. During the past year, a slew of Chinese pharma companies and investment firms have engaged in mergers and acquisitions abroad, breaking highest-investment-capital records. According to reports, 17 M&As were initiated by Chinese pharma companies last year, of which seven deals exceeded the $500 million mark. In May 2017, private equity firm Pagoda Investment struck an agreement with Queensland and Goldman Sachs to acquire Icon Group, Australia’s largest private cancer and oncology services group. Three months later, Fosun Pharma pulled the trigger on a deal to acquire 74% of shares of Indian company GlandPharma for $1.09 billion. Shangdong Weigao beefed up its pipeline with the $850 million buyout of US medical device company Argon. And Sanpower Group acquired Dendreon, Valeant’s US biopharma unit, for $819 million. With the rapid evolution of the Chinese pharma industry and the transformation of its domestic companies, overseas integration has resonated positively across the industry. From a technical perspective, local Chinese pharma companies are still lagging behind the development of European and US pharma giants. It will be difficult for Chinese firms to catch up if they rely solely on their own R&D capabilities. International acquisition helps Chinese pharmas bring back high-quality medical resources and business models from abroad, speeding up their domestic dealmaking, as well as their penetration into international markets.